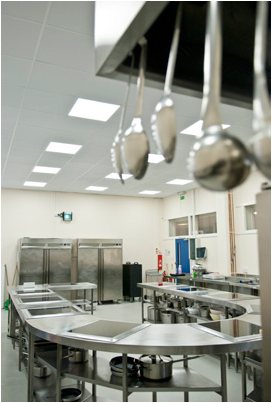 Monument Contacts & Maintenance Limited is an experienced provider of full design, supply and installation service for the commercial catering industry. 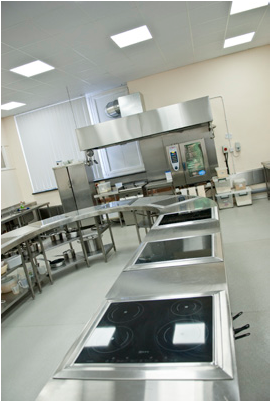 We specialise in commercial catering kitchen and bar installations. Over and above our core electrical, and plumbing services we are able to provide the complete service from the initial design through installation to commissioning. 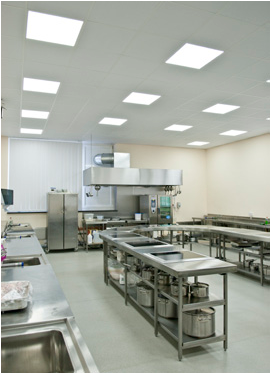 Our engineers have extensive experience in every aspect of refurbishing catering facilities from a single fryer installation to a complete kitchen refurbishment including suspended ceiling installation, non slip flooring, hygiene wall panelling, stainless steel equipment installation, associated plumbing and electrical works, intake and extractor fan, and gas shut down system. Throughout the project we work closely with the designers, specialist suppliers and manufacturers and our fully qualified team of engineers and dedicated project managers ensures that the job is completed on time, on budget and to your satisfaction. Naturally, we are Select registered and provide a detailed quotation along with Health & Safety and Risk Assessment documentation. Monument also provides a Planned Preventative Maintenance and Reactive Maintenance service either through an annual contract or our office team is happy to help you with individual repair requests. ​commercial catering design and installation services.